In Learning Machine Learning – part 1, we covered AWS and GCP tutorials on machine learning within each of their clouds. In part 2 we cover Microsoft tutorial(s) on machine learning in Azure. I found Machine Learning Jump Start in Microsoft Visual Academy with instructors, Buck Woody and Seayoung Rhee. This is a series of 4 video tutorials on Azure ML Studio. ML studio seems similar to AWS SageMaker as it’s a framework to perform machine learning. Azure (and probably AWS & GCP) have a number of methods to perform machine learning. ML studio happens to be the one that I found but there are many others worth examining. Azure’s ML Studio tutorial videos were a better than AWS but not as good as GCP IMHO for learning machine learning. There are four videos in the series. I watched the first (~45 minutes), the second (~45 minutes) and most of the third (only 25 of ~45 minutes). In the first video, the instructors took a long time to get going and then when got someplace interesting, it was all play acting (human as a machine learner) to teach concepts. The tutorials do distinguish between Supervised learning and Unsupervised learning. Both of which can apply to prediction or classification types of problems or outcomes. These are discussed as classic machine learning characteristics. In the last 1/3 of the first video they discuss Azure ML Studio. It provides a common place to work and collaborate across team members. It also provides a graphical approach to machine learning. ML Studio also supports a programmable API, but I never got to that section in my viewing. It provides industry recognized data sets and data science algorithms that can be used as a black box, such as recommendation engines. It allows you to publish and consume machine learning solutions. On the Azure portal there’s a machine learning studio icon (it’s now buried under the 100+ services link, in the AI + Machine Learning section). You use this to create a new ML studio workspace. Inside a workspace you can use Azure ML studio services. In the workspace you can review all your experiments (these are algorithms or predictive models being worked). In the Experiments page you can create a new experiment which is sort of a graphical workflow of the machine learning task. There you will find a list of Azure sample data sets and sample algorithms that can be used in your experiment. The first video didn’t go into much detail on any of this other than showing you how to get started and create a ML studio workspace. Video 2 takes your ML studio workspace and runs a rudimentary experiment with it. In this video they walk you through selecting a data set, selecting algorithms to use and how to connect them into a machine learning workflow. Creating an ML Studio experiment is almost like flowcharting your workflow. You select the data you want and drop it into the workflow. Next select an extraction engine you want to use and drop it into the work flow and connect it to the data. Then. you identify what you want to do with the data (like training) and drop that algorithm into the workflow and so on. In the end you have defined a sequence of actions to perform on data. In their example, dataset they use a user movie ratings dataset. They connect this to a bayesian learning model and to a IMDB database to extract movie titles. The tutorial experiment is a movie recommendation engine.Although it wasn’t a neural net many of the same techniques apply. ML Studio uses an intuitive graphical approach to defining a machine learning workflow. Video 3 shows you how to publish (on Azure’s Marketplace) the recommendation engine created in video 2 as an OData web service. I stopped watching the 3rd video after about 25 minutes as it was setting up various aspect of the OData web service to be deployed on Azure marketplace. Using Azure ML studio seemed pretty straightforward. But it was much more data science/data analytics activity than neural network training. The Azure MVA ML Studio tutorial was created in 2014 so some of the concepts are a bit dated but most still apply. Looking today on the Azure Portal, I was still able to find the ML studio workspaces under one of the 10 AI + Machine Learning services. Again I would have to say the GCP tutorial was a better fit for what I wanted which was how do I create a neural net and get it trained. There are other Azure approaches to machine learning and tutorials that support them. For example, there’s a quick start tutorial to understand how to use Python and Jupyter notebooks under Azure, which is probably closer to the neural net training in GCP. I found myself skipping ahead a lot in video 1 as it was mainly about concepts and not much technical detail. Video 2 was a good intro into ML studio and Video 3 showed you how to publish a ML studio web service in Azure but it was more details than I wanted to know. I never got to video 4, which probably talked about ML Studio’s programable API. If I had to do it over again, I probably would have viewed the quick start tutorial with Python and Jupyter notebooks, which sounded more like the GCP tutorials in the part 1 post. On the other hand, Azure ML Studio tutorials supplied a good complement to the GCP tutorial, as a different (more graphical) way to do ML. It would probably be worthwhile to view before taking the AWS Sagemaker tutorials as it’s a bit higher level and quicker introduction into the workflow of AI and machine learning. There’s been a lot of talk on the extendability of current AI this past week and it appears that while we may have a good deal of runway left on the machine learning/deep learning/pattern recognition, there’s something ahead that we don’t understand. Let’s start with MIT IQ (Intelligence Quest), which is essentially a moon shot project to understand and replicate human intelligence. The Quest is attempting to answer “How does human intelligence work, in engineering terms? And how can we use that deep grasp of human intelligence to build wiser and more useful machines, to the benefit of society?“. The problem with AI’s deep learning today is that it’s fine for pattern recognition, but it doesn’t appear to develop any basic understanding of the world beyond recognition. Some AI scientists concede that there’s more to human/mamalian intelligence than just pattern recognition expertise, while others’ disagree. MIT IQ is trying to determine, what’s beyond pattern recognition. There’s a great article in Wired about the limits of deep learning, Greedy, Brittle, Opaque and Shallow: the Downsides to Deep Learning. The article says deep learning is greedy because it needs lots of data (training sets) to work, it’s brittle because step one inch beyond what’s it’s been trained to do and it falls down, and it’s opaque because there’s no way to understand how it came to label something the way it did. Deep learning is great for pattern recognition of known patterns but outside of that, there must be more to intelligence. There’s a case to be made that all mammalian intelligence is based on hierarchies of pattern recognition capabilities. That is, at a bottom level human intelligence consists of pattern recognition, such as vision, hearing, touch, balance, taste, etc. systems which are just sophisticated pattern recognition algorithms that label what we are hearing as Bethovan’s Ninth Symphony, tasting as grandma’s pasta sauce, and seeing as the Grand Canyon. Then, at the next level there’s another pattern recognition(-like) system that takes all these labels and somehow recognizes this scene as danger, romance, school, etc. One question for this view is how are these action templates defined and how many are there. If, as it seems, there’s almost an infinite number of them, how are they selected (some finer level of granularity in scene labeling – romance but only flirting …). But to other scientists, there appears to be more than just pattern recognition(-like) algorithms and lookup and act algorithms, going on inside our brains. For example, once I interpret a scene surrounding me as in danger, romance, school, etc., I believe I start to generate possible action lists which I could take in this domain, and then somehow I select the one to do which makes the most sense in this situation or rather gets me closer to my current goal (whatever that is) in this situation. This is beyond just procedural logic and involves some sort of memory system, action generative system, goal generative/recollection system, weighing of possible action scripts, etc. Most babies understand their parents language(s) and learn to crawl within months after birth. But they haven’t listened to thousands of hours of people talking or crawled thousands of miles. And yet, deep learning requires even more learning sets in order to label language properly or learning how to crawl on four appendages. And of course, understanding language and speaking it are two different capabilities. Ditto for crawling and walking. How does a baby learn to recognize these patterns without TB of data and millions of reinforcements (“Smile for Mommy”, say “Daddy”). And what to make of the, seemingly impossible to contain wanderlust, of any baby given free reign of an area. These questions are just scratching the surface in what it really means to engineer human intelligence. MIT IQ is one attempt to try to answer the question that: assuming we understand how to pattern recognition can be made to work well on today’s computers what else do we need to do to build a more general purpose intelligence. 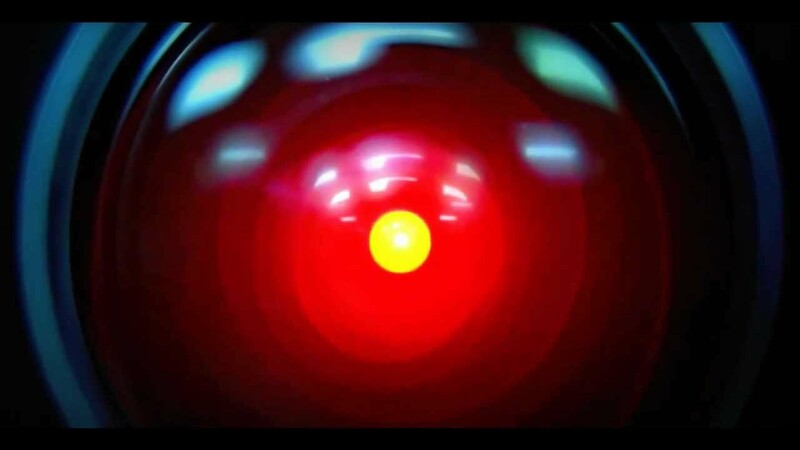 There are obvious ethical questions on whether we want to engineer a human level of intelligence (see my Existential risks… post). Our main concern is what it does (to humanity) once we achieve it. But assuming we can somehow contain it for the benefit of humanity, we ought to take another look at just what it entails. Photo Credits: Tech trends for 2017: more AI …., the Next Silicon Valley website. Attended SC17 last month in Denver and Nvidia had almost as big a presence as Intel. Their VR display was very nice as compared to some of the others at the show. GPU’s were originally designed to support visualization and the computation to render a specific scene quickly and efficiently. In order to do this they were designed with 100s to now 1000s of arithmetically intensive (floating point) compute engines where each engine could be given an individual pixel or segment of an image and compute all the light rays and visual aspects pertinent to that scene in a very short amount of time. This created a quick and efficient multi-core engine to render textures and map polygons of an image. Image rendering required highly parallel computations and as such more compute engines meant faster scene throughput. This led to todays GPUs that have 1000s of cores. In contrast, standard microprocessor CPUs have 10-60 compute cores today. Another significant driver of GPU sales and usage today seems to be AI, especially machine learning. For instance, at SC17, visual image recognition was on display at dozens of booths besides Intel and Nvidia. Such image recognition AI requires a lot of floating point computation to perform well. I saw one article that said GPUs can speed up Machine Learning (ML) by a factor of 250 over standard CPUs. There’s a highly entertaining video clip at the bottom of the Nvidia post that shows how parallel compute works as compared to standard CPUs. GPU’s play an important role in speech recognition and image recognition (through ML) as well. So we find that they are being used in self-driving cars, face recognition, and other image processing/speech recognition tasks. The latest Apple X iPhone has a Neural Engine which my best guess is just another version of a GPU. And the iPhone 8 has a custom GPU. 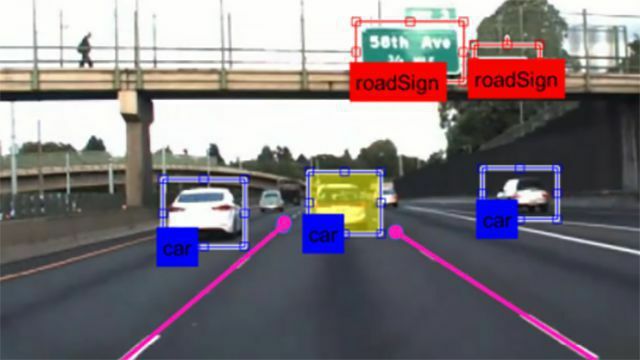 Tesla is also working on a custom AI engine for its self driving cars. So, over time, GPUs will have an increasing role to play in the future of AI and crypto currency and as always, image rendering. Read an article in Quanta Magazine (New theory cracks open the black box of deep learning) about a talk (see 18: Information Theory of Deep Learning, YouTube video) done a month or so ago given by Professor Naftali (Tali) Tishby on his theory that all deep learning convolutional neural networks (CNN) exhibit an “information bottleneck” during deep learning. This information bottleneck results in compressing the information present, in for example, an image and only working with the relevant information. The professor goes on to characterize the deep learning process by calculating the mean and variance of each layers connection weights. In the chart he shows an standard “eiffel tower” neural network, with 6 hidden layers, each with less neurons (nodes) than the previous layer (12 nodes, 10 nodes, 7 nodes, etc.). And what he plots is the average weights and variance between layers (red lines are average and variance of the weights for arcs[connections] between nodes in layer 1 to nodes in layer 2, blue lines the mean and variance of weights for arcs between layer 2 and 3, purple lines the mean and variance of weights for arcs between layer 3 and 4, etc.). He shows that at the start of training the (randomly assigned) weights for each layer have a normalized mean which is higher than its normalized variance. He calls this phase as high signal to noise (I would say the opposite, its low signal to noise, more noise than signal). But as training proceeds (over more epochs), there comes a point where the layer mean drops below its variance and the signal to noise ratio changes dramatically. After that point the mean weights and variance of the group of layers start to diverge or move apart. The phase (epochs) after the line where the weights means are lower than its variance, he calls the Compression phase of the deep layer CNN training. The Professor suggests that every complex deep learning CNN looks the same during training if you perform the calculations. The professor shows charts like this for other deep learning CNNs used on different problems and they all exhibit some point where their means are lower than their weights after which means and variances between layers starts to differentiate. Do layer counts and sample size matter? It turns out that the more hidden layers you have, the sooner (less training) you need to begin the compression phase. This chart shows the same problem, with different hidden layer counts. One can see in the traces, that not only is accuracy improved with more layers but it also more quickly reaches the compression phase. Using his sample complexity and accuracy statistics, the Professor has also shown that their are limits to the amount of accuracy to any deep learning CNN based on the function of layer counts, sample size and training event counts. As far as I know, The Professor and his team are the first to try to characterize and understand what happens during deep learning. In doing so, he has shown that the number of layers and the number of samples can be used to predict the speed of learning. And ultimately how accurate any deep learning CNN can be.